For a complete list of savings by procedure, click here. Discounts on Crowns, Teeth Whitening, Braces, Dentures, and More! With the Streamline Dental Plan, our patients and their families receive benefits that even some insurance companies do not provide – such as no limits on their yearly coverage amounts – all for only a small, affordable fee each year. The cost of our family dental plan is less than that of many popular private insurance companies! Because you’re accessing care right here at our Blacksburg office, there’s no need for a middleman. 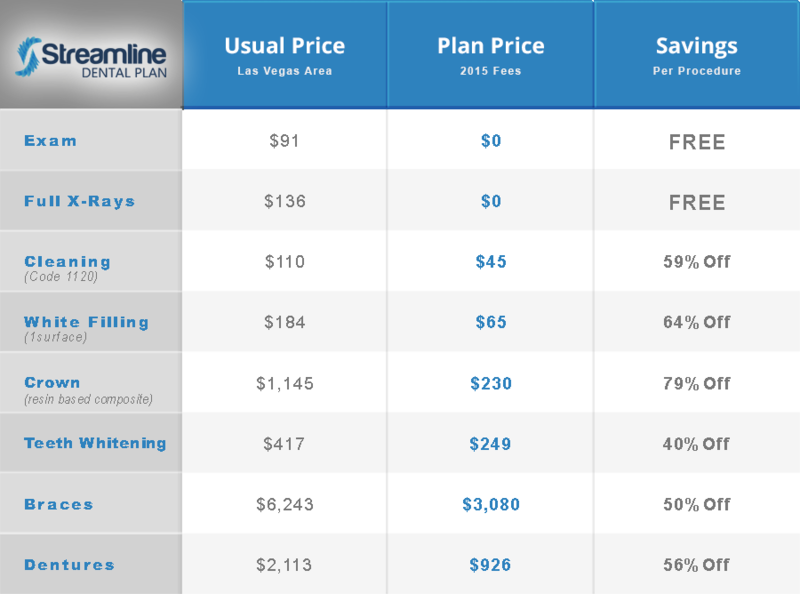 Streamline Dental has it’s own dental plan with better rates, because there is no 3rd party company trying to benefit from monthly premiums. Our dental plans cover Blacksburg individuals, couples and their families. Children must be under the age of 18, or up to the age of 24 if enrolled in school. Are you ready to find out more? 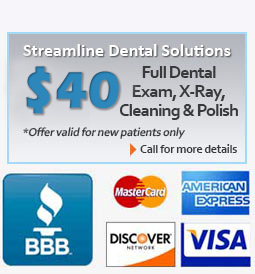 Call Streamline Dental Solutions in Blacksburg today! Streamline Dental Solutions 2016. All rights reserved.